We receive many press enquiries and are happy to be interviewed – but please be patient and let us know what your deadlines are. Please note: Hollaback is a global network with sites all across the world. If you are a regional or non-London based news outlet please check the main site for your closest chapter before making an enquiry. Email [email protected] and one of us will response to you as soon as we can. View Online: Sexual harassment is ‘normal’ in clubs, but are things about to change? 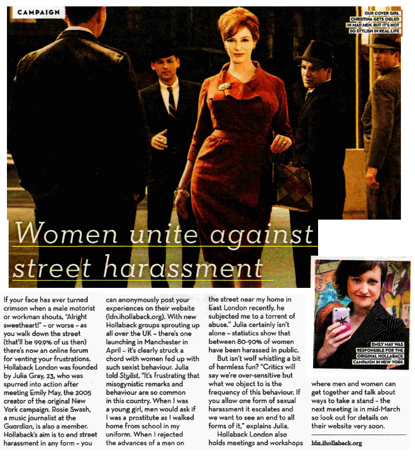 Hollaback London: If someone wolf whistles at you or grabs you in the street, would you confront them?